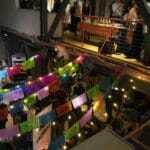 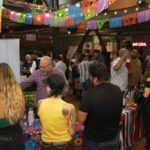 This past Sunday Mexico in a Bottle had its fifth birthday in San Francisco with more than forty brands, more than two hundred expressions of mezcal (plus some tequilas, rums, and other Mexican spirits), great food from local restaurants, and cocktails. 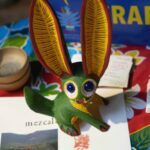 Let’s not forget about the art, the music, the tiendita, the symposia, and the fun! 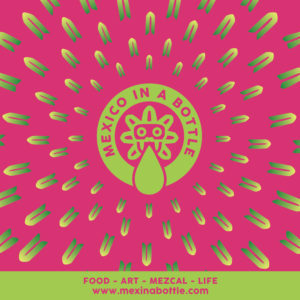 But more precious than anything else is the community of Mexico in a Bottle. 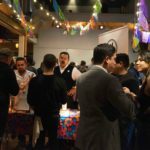 We were so happy to see people who have been with us from the very beginning, brands and their owners, restaurants and bars, ticket buyers, and even our host at Public Works. 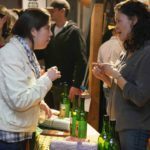 We’ve been adding to that group annually so that it can sometimes feel like we’re busting at the seams but we also manage to fit more in while keeping the price reasonable. 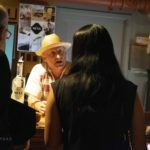 Thanks again to everyone that has made it possible and thanks so much for the support, these photos will give you a great idea of the story. 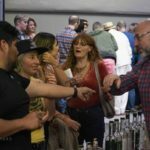 Cuish Mezcal premiered at Mexico in a Bottle San Francisco 2018. 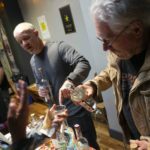 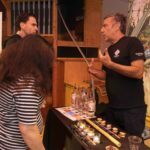 Shannon pours Montelobos Mezcal at Mexico in a Bottle San Francisco 2018. 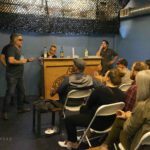 We had a great group of people at Mexico in a Bottle San Francisco 2018. 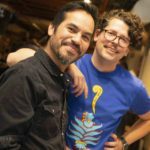 Five years of Mexico in a Bottle is also five years at Public Works! 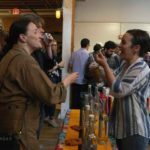 Del Maguey’s Lucia Creed discusses a finer point. 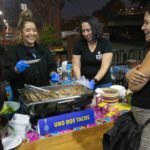 Uno Dos Tacos made some great tacos. 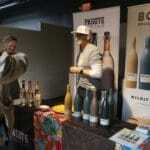 Kwasi Boyd from Haas Brothers Imports. 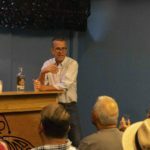 Dave Miller led a symposia on the social impact of Mezcal on communities. 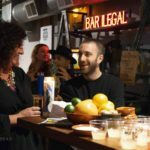 Susan Coss pauses to chat with Ilegal Mezcal. 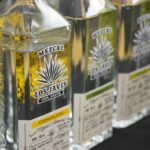 Lalocura and Malbien Mezcals are just being imported to the US this year. 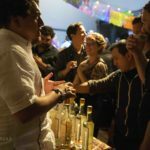 Arik Torren from Fidencio, Raicilla Venenosa, and other mezcals. 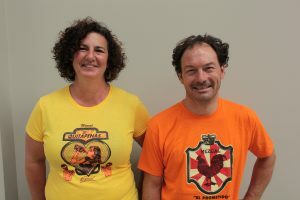 Just two of the great volunteer staff. 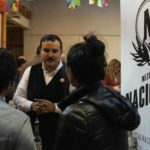 Jaime Saavedra from Mezcal Nacional talks about his mezcal. 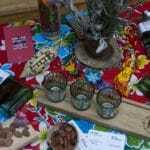 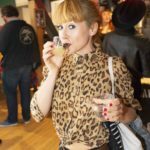 Annemarie Roberts talks about Vago Mezcal. 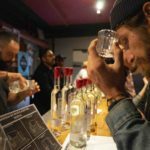 Downstairs at Public Works during Mexico in a Bottle San Francisco 2018. 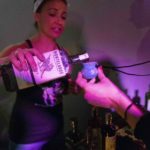 Ansley Coale from Craft Distillers pours an Alipus. 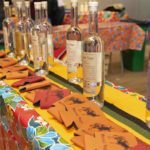 An alebrije at the Craft Distillers table. 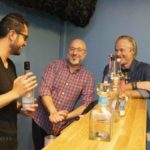 Wahaka Mezcal’s Raza Zaidi explains his mezcals. 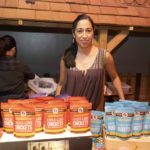 Don Bugito’s Monica Martinez stands behind some of her company’s insect snacks. 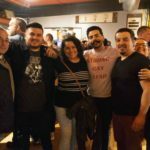 Gilbert from Ilegal hangs out with the Los Javis team. 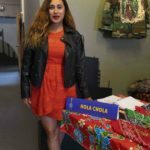 Susanna Gonzalez is the designer behind Hola Chola. 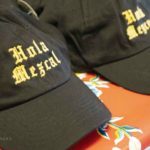 Hola Mezcal hats from Hola Chola. 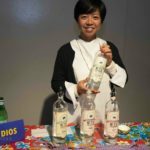 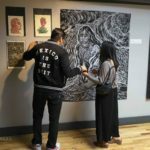 Jhovany Rodriguez is a local artist who has also shown at past Mexico in a Bottle tastings. 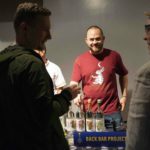 Back Bar Project distributes El Jolgorio in the United States. 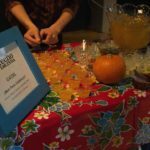 El Techo de Lolinda offered a special mezcal cocktail that featured flavors of the season. 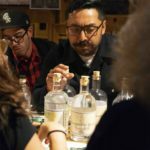 Los Javis Mezcal at Mexico in a Bottle San Francisco 2018. 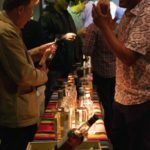 The Mezcal Vago table at Mexico in a Bottle San Francisco 2018. 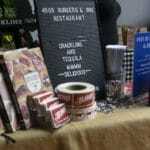 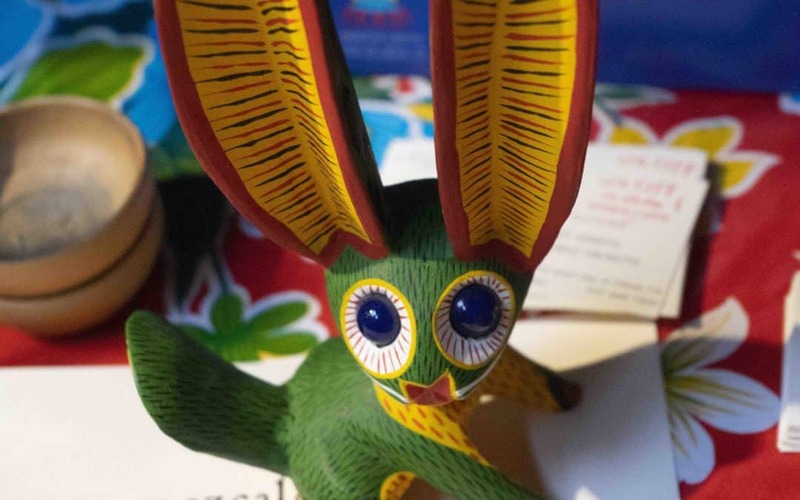 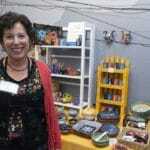 Peggy Stein’s Mexico by Hand imports a wide variety of Mexican craft items from Michoacan. 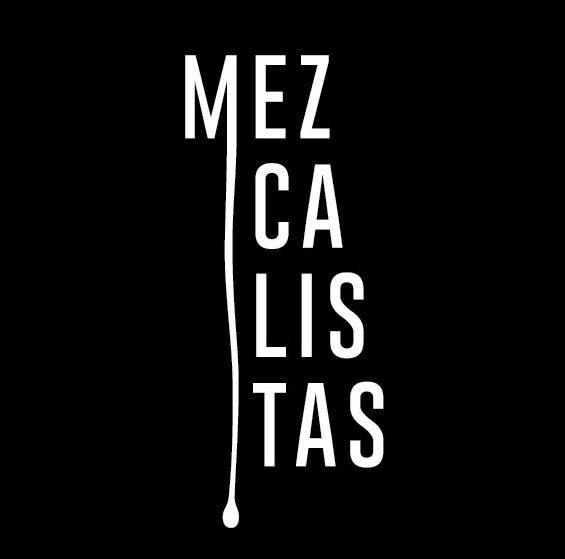 Mezcalifornia brought their great merch and a whole agave. 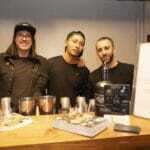 Team Mosto brought their mobile bar and three cocktail sips to Mexico in a Bottle San Francisco 2018. 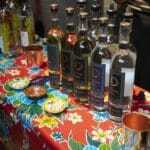 The Pasote Tequila and Bozal Mezcal table at Mexico in a Bottle San Francisco 2018. 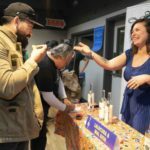 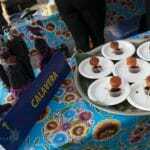 The Calavera bite at Mexico in a Bottle San Francisco 2018 featured jicama in a spicy sauce. 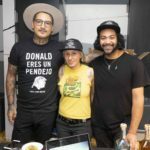 4505 Meats brought cracklins and tequila hot sauce to Mexico in a Bottle San Francisco 2018. 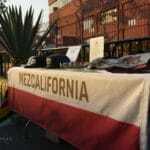 Mezcal Marca Negra’s table at Mexico in a Bottle San Francisco 2018.